With gorgeous and stunning decor, you do not want to miss an opportunity of staying at Hotel Southend. You are welcomed with a nice reception. The rooms have lovely interiors with bright ceiling LED lights, upholstered beds, woodwork and classy curtains that reveal a splendid view. 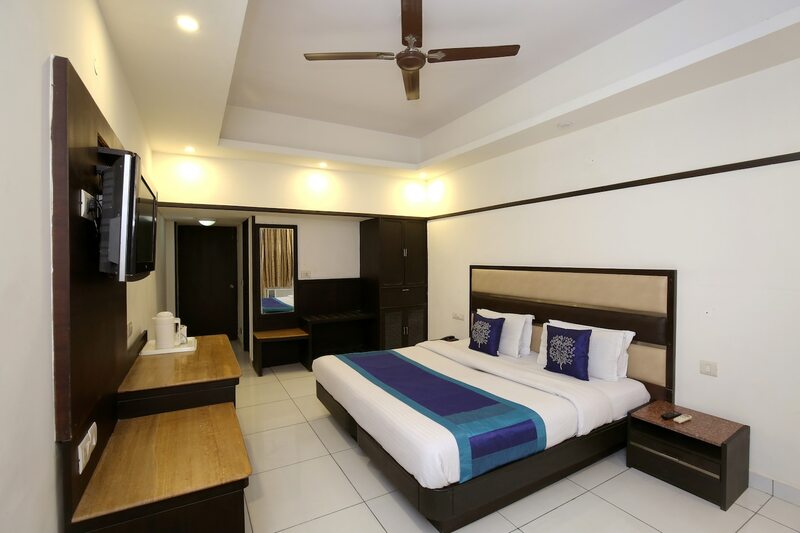 These rooms are fully furnished with all essential amenities that are convenient for all guests. They are absolutely clean, spacious and well-lit. The bathrooms are also clean and well-equipped along with a geyser for chilly weather. The hotel provides other facilities like CCTV cameras, free Wi-Fi and parking facility. There are also many restaurants and food outlets nearby to satiate your inner foodie.